JoJo Removals offers a complete range of professional cleaning services to compliment our moving and property maintenance divisions. Our cleaning team are able to cover the whole of Central and Greater-London areas and can be available at times to suit your needs. You can book one or more cleaners as required for as long as you need. Whether it's a one-off job or something needed on a daily, weekly or monthly basis you can be assured of the highest quality of work from hard working and professionally trained staff. 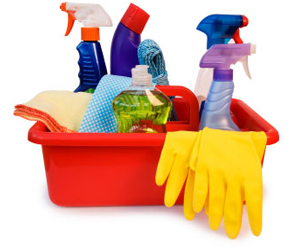 Most rental and lease arrangements require tenants to leave the property in a clean and pristine condition. We're happy to offer this service both as part of our moving services or by itself. We can start cleaning the property whilst the move is still in progress attending to the rooms which have been empties in order to save valuable time. 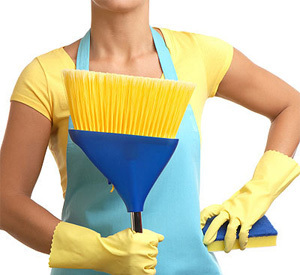 At times you may not find your new property in a condition of cleanliness you're happy with. If you'd like a sparkling new home to move in to - give us a call and we'll send in a team of professional cleaners who can give the entire house a shine that will make you smile and add a welcoming warmth to your new property. We take great care in vetting our staff and only hire the most reliable and trustworthy individuals who understand our commitment to high standards and professional integrity. We carefully check the background and references of each and every new member of the team including their eligibility to work in th UK. All our staff are highly trained to an exceptional standard. Copyright © 2013 JoJo Removals.